The national mammography screening and "Invitation to Life" projects, along with ongoing information campaigns, have significantly helped raise the level of awareness and compliance with early detection. To tackle this concern, ICA purchased a Mobile Mammography Unit, with the aim of improving accessibility in the social and geographical peripheries and special sectors of the population where compliance to undergo this potentially life-saving test is considerably low. 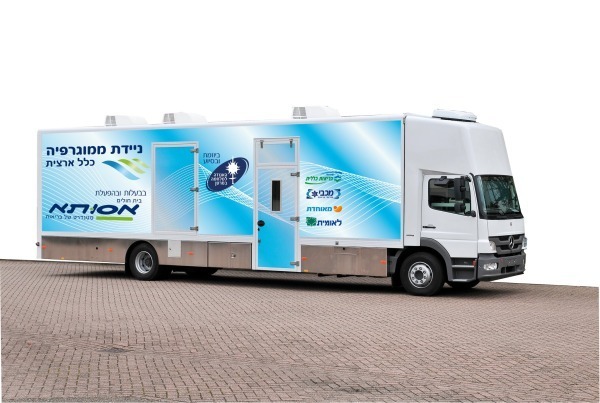 The mobile unit is available to women residing in remote areas who are less aware of the importance of screening tests, such as in Arab villages and development towns where there is a high percentage of new immigrants, ultra-Orthodox neighborhoods, etc. Studies indicate a significant reduction in the gaps between these sectors since its operation. Based on data collected through the national mammography screening and quality assurance program financed by ICA, it has emerged that since the project's inception, the breast cancer early detection rates have significantly improved.